We’re delighted to be presenting the following double-bill concert with world-renowned composers Cécile Schott (Colleen) and Meteor Choice Music Award winning Caoimhín Ó Raghallaigh (The Gloaming, This Is How We Fly). 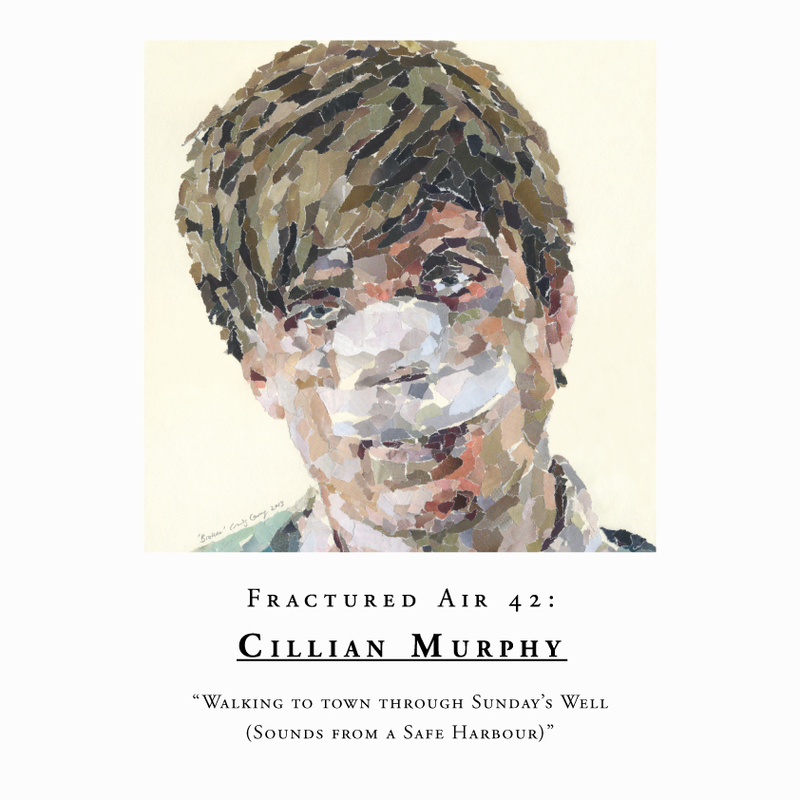 This is Colleen’s only Irish date for her 2015 European tour to promote her latest fifth studio album ‘Captain Of None’, released earlier this April via Thrill Jockey Records. 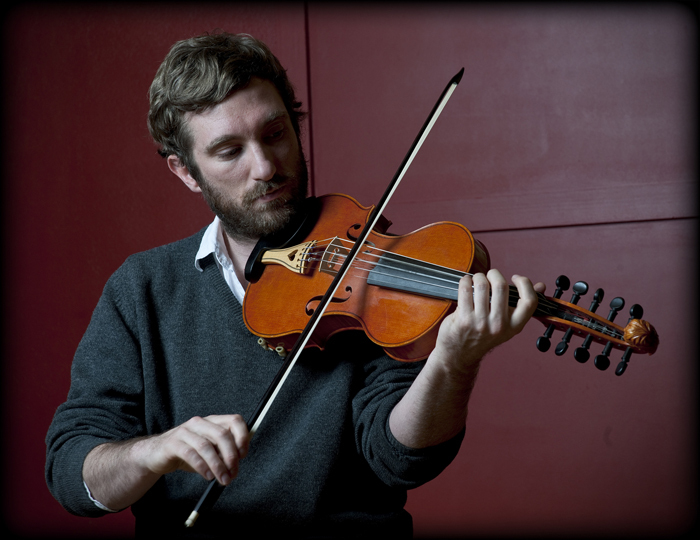 Both artists have mastered their own respective instruments of choice; Schott’s treble viola da gamba and Ó Raghallaigh’s ten-string Hardanger d’Amore fiddle. 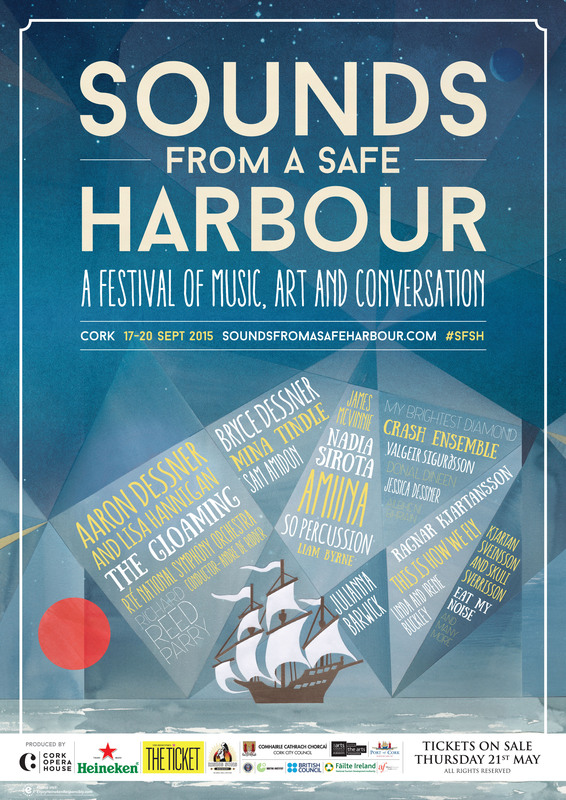 Join both musicians on the Cork Opera House stage (literally) for an intimate gig set up to bring the audience right into the heart of the music. Concert takes place this Sunday 3 May, doors are 8pm and tickets are €17.50. 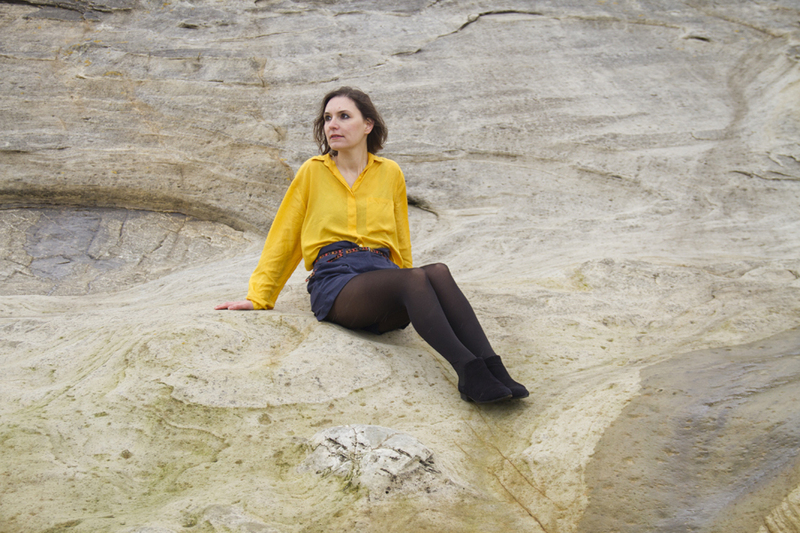 The Paris-born musician Cécile Schott has been making music as Colleen for over a decade now: beginning with a string of much-loved records for The Leaf Label (debut 2003 album ‘Everyone Alive Wants Answers’, 2005’s ‘The Golden Morning Breaks’ and 2007’s ‘Les Ondes Silencieuses’, as well as 2006’s ‘Colleen Et Les Boîtes À Musique’, (an E.P. 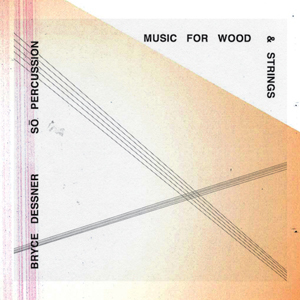 originally created for Atelier de Création Radiophonique as a commission from France Culture). After a four-year break, Colleen made her long-awaited return to music in 2013 with the release of her album ‘The Weighing Of The Heart’ via London-based label Second Language, its eleven songs featuring, for the first time, Schott’s own voice as well as a new-found love for Jamaican music and rhythm. 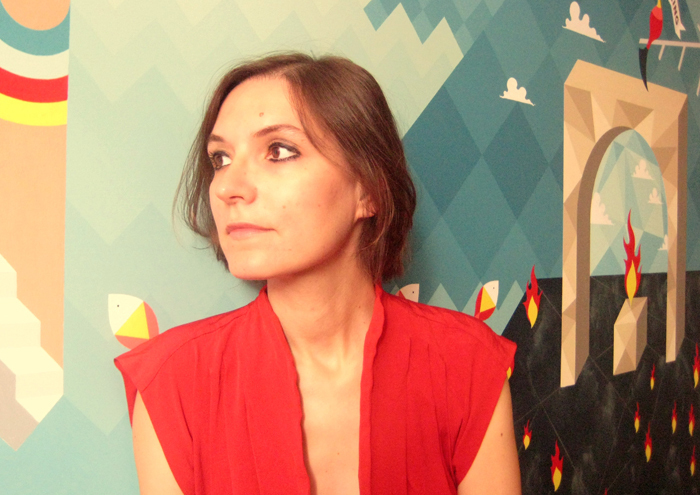 Colleen’s highly acclaimed fifth studio album ‘Captain Of None’ was released by Chicago-based label Thrill Jockey Records in April 2015. 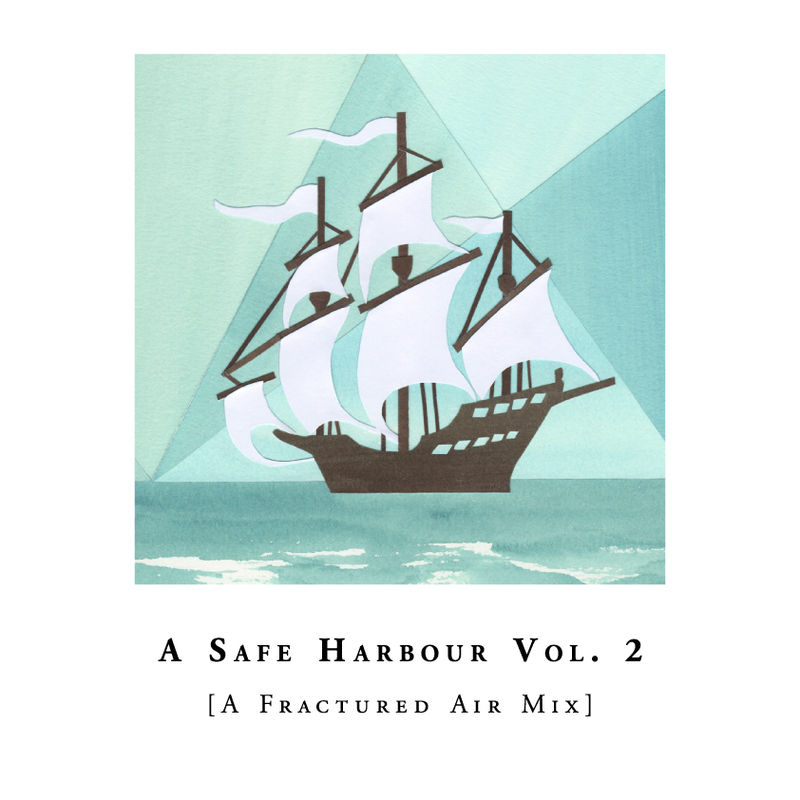 ‘Captain Of None’ is characterized by a stripped-back sound palette (Schott adopts the use of two main instruments; the treble viola da gamba and voice) and finds Schott embracing her long-term love for Jamaican music in terms of the construction of her own songs (production ideas and experimentation with sound). The album was recorded entirely in her home San Sebastian studio, where two key things happened. Firstly, Schott wished to add basslines to her own music, which lead to her using an Octaver Pedal to create bass sounds (the pedal adds another octave below the original sound you are playing). Secondly, Schott began to use a Moogerfooger pedal to create the delay effects crucial to the dub reggae sound aesthetic. ‘Captain Of None’, together with it’s predecessor, 2013’s ‘The Weighing Of The Heart’, journeys Schott’s natural and beautiful transformation from instrumentalist to lyricist, where Schott’s songbook details the inner human life (“so rich and complex it’s just impossible to really understand it and that’s what is really fascinating”). Colleen’s performance at Cork Opera House will mark Cécile Schott’s eagerly-awaited return to Cork to mark the release of ‘Captain Of None’, her fifth studio album. This is Colleen’s only Irish live performance. 2014 was a remarkable year for Ireland-based composer Caoimhín Ó Raghallaigh. Firstly, January ‘14 saw the release of contemporary quintet The Gloaming’s stunning self-titled debut album via Real World Records. Subsequent concerts would be performed across the globe (including Sydney’s Opera House) to mass celebration and widespread critical acclaim on both sides of the Atlantic. As well as touring with his other band, the Irish/Swedish quartet This Is How We Fly, across both Ireland and Europe (and most recently across the U.S.), Ó Raghallaigh also performed a series of truly special solo concerts (entitled “In My Mind”, a solo fiddle and film show) across the length of Ireland for the month of October, organized by Irish Music Network. 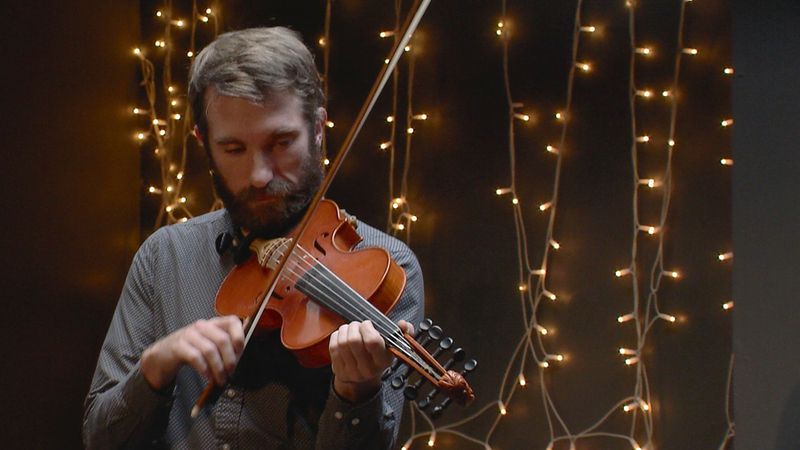 Despite the hectic touring schedules, Ó Raghallaigh also released two stunning albums: the solo album ‘Music For An Elliptical Orbit’ (via Dublin-based label Diatribe Records) and the mesmerizing ‘Laghdú’, a collaboration with U.S. fiddle player Dan Trueman. The Gloaming’s self-titled debut album was recently awarded the prestigious Meteor Choice Music Prize for 2015. 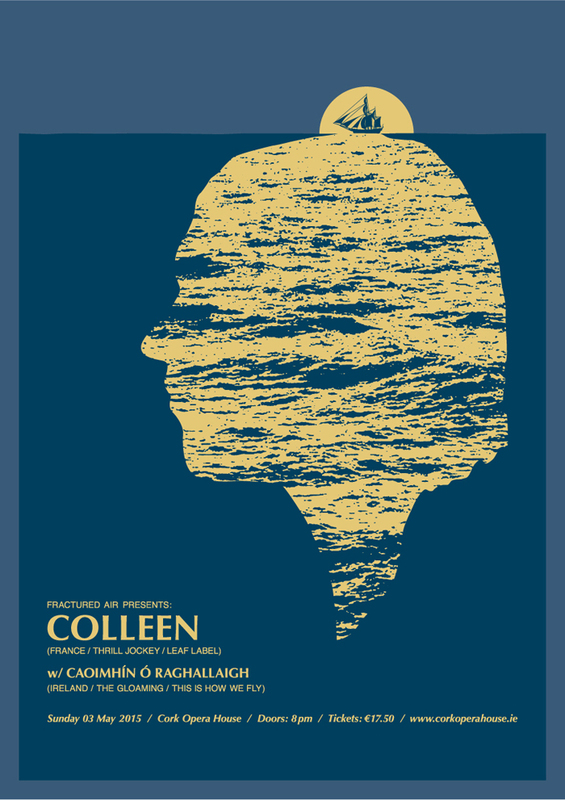 Fractured Air Presents: COLLEEN (FRA) w/ special guest Caoimhín Ó Raghallaigh (IRE), Sunday 3 May 2015, Cork Opera House, Tickets: €17.50, Doors: 8pm. All details are below. Thank you. Peter Broderick’s name has become synonymous with the thriving independent music scene over the past decade, having released ground-breaking albums on prestigious record labels such as Erased Tapes, Bella Union and Type Records. 2014 has already been a busy year for the ever-prolific musician, releasing the collaborative project with British composer Greg Haines under the guise of Greg Gives Peter Space (where the duo share their fascination with dub music), and collaborating on the latest full-length from The Album Leaf (‘Never Held A Baby’). 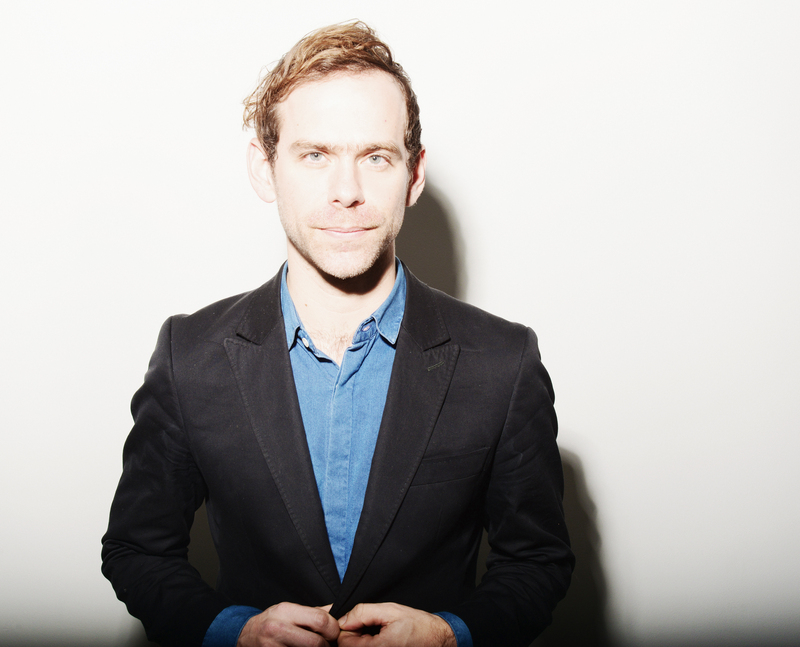 Peter Broderick (b. 1987) is an American-born multi-instrumentalist and singer-songwriter. In his later teenage years he became entwined in the Portland, Oregon indie folk scene, recording for the likes of M. Ward, Laura Gibson, Horse Feathers and Dolorean. 2007 saw him moving across the ocean to Denmark, where he began a long collaboration with the Danish band Efterklang, touring around the world with them for the next five years (and prominently featured on the recordings ‘Performing Parades’ (2009), ‘Magic Chairs’ (2010) and ‘Piramida’ (2012). Meanwhile he recorded several albums of solo material, ranging from sparse classical compositions (‘Float’) to homemade folk music (‘Home’), constantly experimenting with different musical genres (2012’s ‘These Walls Of Mine’ fuses country, folk, Neoclassical, ambient and hip-hop), and also being commissioned to write music for several films and contemporary dance works (‘Music For Falling From Trees’, ‘Music For Contemporary Dance’). He then lived in Berlin for several years where he met and collaborated with Nils Frahm, Dustin O’ Halloran, Machinefabriek, Lubomyr Melnyk and several others. Loch Lomond is the Portland Oregon-based chamber pop/folk group which began as a solo project of Ritchie Young in 2003 with their debut release ‘When We Were Mountains’. 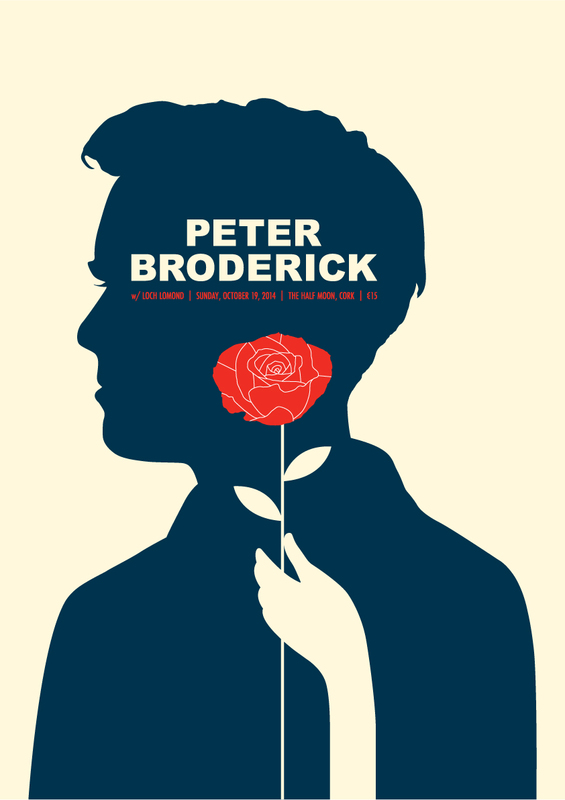 While Broderick has joined the band numerous times (drums, violin, mandolin, vocals), Loch Lomond have released three further albums to date:‘Paper The Walls’ in 2007; ‘Little Me Will Start A Storm’ in 2011 and current full-length ‘Dresses’ in 2013. Loch Lomond are currently signed to the prestigious Glasgow-based independent label Chemikal Underground (The Phantom Band, Adrian Crowley, Aidan Moffat).